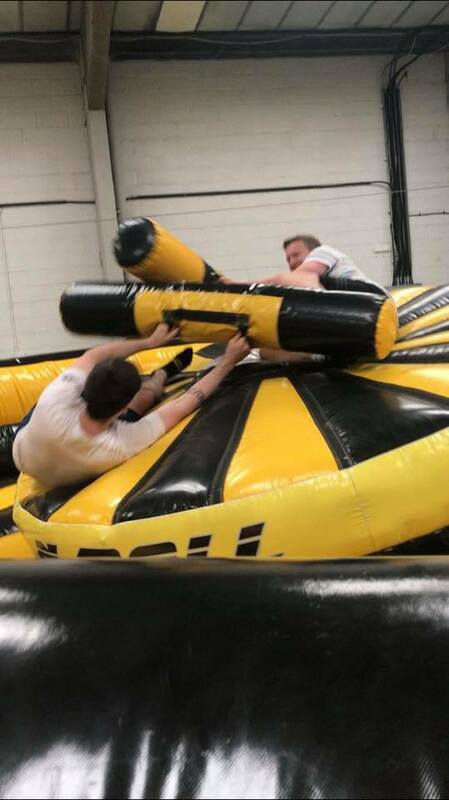 The Rock N Roll challenge is the next stage after the traditional inflatable gladiator games. You can challenge your friends to a duel on the rock n roll whilst trying not to fall of as it rocks. It is harder than it looks but a LOT of fun! This inflatable allows a lot of rolling movement making even getting onto the Rock N Roll a fun challenge!